U2, Talking Heads, Depeche Mode, Blondie, Duran Duran, Tears for Fears, The Clash, The Cure – over half a billion records sold, but you might have never heard of them if not for a small suburban radio station on Long Island, NY called WLIR 92.7. 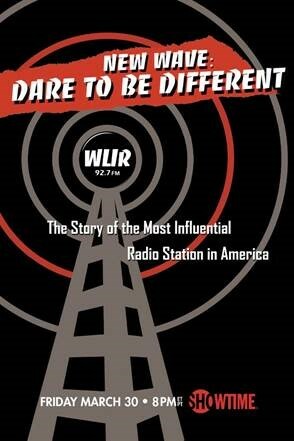 NEW WAVE: DARE TO BE DIFFERENT is a nostalgic look back at the rogue radio station on the cutting edge of music throughout the 1980s. Program director Denis McNamara, the station crew and the biggest artists of the era tell the story of how they battled the FCC, record labels, mega-radio and all the conventional rules to create a musical movement that brought New Wave to America. To watch and share a clip from NEW WAVE: DARE TO BE DIFFERENT, go to: https://youtu.be/SdmvLN_pZq8. Directed by Ellen Goldfarb, NEW WAVE: DARE TO BE DIFFERENT features rare archival footage and candid interviews with artists including Joan Jett, Debbie Harry, Billy Idol, Nick Rhodes (Duran Duran), Dave Wakeling (The English Beat), Annabella Lwin (Bow Wow Wow), Jim Kerr (Simple Minds), Vince Clarke (Depeche Mode, YAZ and Erasure), Curt Smith (Tears for Fears), Fred Schneider (The B-52s), Mike Score (A Flock of Seagulls), Mike Peters (The Alarm), Katrina Leskanich (Katrina and the Waves), Thomas Dolby, Howard Jones and Midge Ure (Ultravox, Live Aid founder), among others. WLIR helped introduce most of these bands to a U.S. audience while creating a community centered around the punk and New Wave scene. Now, 30 years after the station went off the air, the film tells the story of the unique rise and fall of this independent cultural institution. NEW WAVE: DARE TO BE DIFFERENT is directed and produced by Ellen Goldfarb and produced by Roger Senders. Serving as executive producers are Denis McNamara and Gregg Goldfarb.